“Don’t waste your time,” bellowed the sales engineer at the engineering procurement construction (EPC) firm. I was working as a contractor and had just explained the need for a timeline. The plant design consisted of a dryer fed by commercial fermenters that got seed from a battery of seed fermenters. To run the dryers smoothly, i.e., without interruption, required having seed in storage tanks between the dryer and the commercial fermenters. The statement sounded like a command; so I thought carefully but then developed a spreadsheet for the seed and commercial fermenters anyway. I absolutely needed the timeline to do my job. That’s why EPC firms hire contractors: to do what’s necessary without concern for advancement or office politics. Once the managers saw the timeline, they realized why I risked my job to create it. What makes a timeline so valuable? It allowed me to connect batch production from the fermenter trains to the continuously operated dryer tanks. Using the information on the timeline, I could: 1) check the number of fermenters in each train against the continuous need; 2) estimate utilities like steam, chilled water, water and air — although equipment often is sized based on maximum instantaneous need, tank storage should be checked against hourly demand; 3) evaluate what happens when a batch fails and must go to the sewer; 4) gauge overall loading for feed to the batch systems; and 5) test storage capacities such as for the dryer tanks. My analysis allowed us to identify the need for additional dryer feed storage for lot control. In addition, it enabled more accurate assessment of utilities like cooling water by knowing how many fermenters were running every hour; assuming all batches are running continuously grossly over-estimates the utility rates required. You must test the model created against reality. The model must effectively answer questions like: What happens when you shut down the dryer — can you store batch product or is it lost to waste? How many batches must be run to keep the dryer going? If a power failure terminates some of the batches, what dryer rate is needed for a period to avoid complete shutdown of the continuous process? How long is that period? To develop a useful timeline, you’ll need the following: 1) the batch cycle time, i.e., the time required for filling, production, emptying and cleaning; 2) the feed rate curves for the ingredients — in fermentation, the accumulated mash (sugars) will take up more than half of the fermenter volume; fermentation starts slowly, builds to a peak and then drops to almost zero at the end; 3) the cleaning time in the event a batch goes to the sewer — this sometimes differs from the time for normal cleaning; 4) the rate curves for steam, cooling water and other utilities; 5) times to complete sampling and testing — bacterial growth vials can take 2–3 days; 6) maintenance cycle information such as the time to arrange for a crane to remove an agitator, the time to dismount the old agitator and gearbox and then mount the new agitator, and the time to certify and test the replacement; 7) outage information — necessary production rates for the continuous and batch sections to maintain customer supply; and 8) the turndown rates for the continuous section. After you’ve completed your spreadsheet model, take a hard look at it. For example, did you make the common mistake of forgetting about high cooling-tower temperature when planning for the cooling water flows to reactor jackets? Maybe a 15°F rise is too much? Can you really count on pumping out a pseudo-plastic at 1,000 gpm when the viscosity rises 10 cP every few minutes? 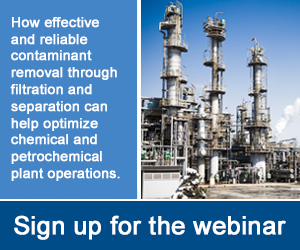 Sure you can add 200 gpm of an ingredient to a reactor, but can you blend it effectively? These are just some of the questions you must ask of your model before it can be useful in developing a bridge between your batch operations and continuous ones.